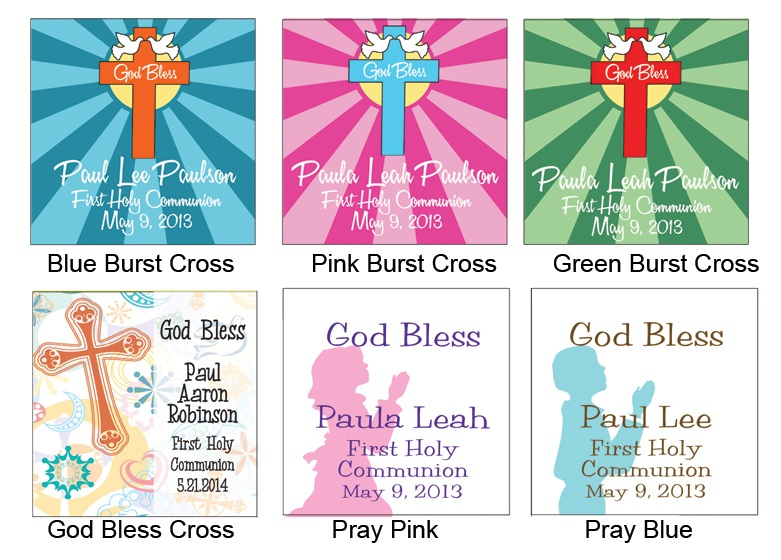 If you are looking for elegant Communion rosary favors, you will find them here. What makes these favors even nicer, is that each Communion mini rosary comes packaged in a personalized white pouch pillow pack. A custom label, with a message of your choice, is front and center on the package holding in place a pretty ribbon that surrounds the box. 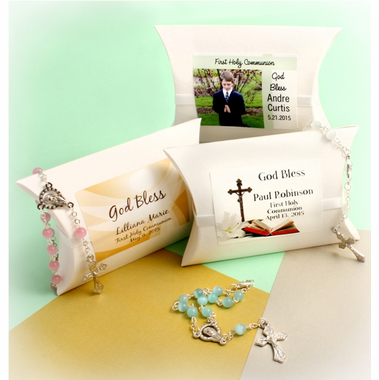 Pillow Pack Box Size: 3 7/8 inches high and wide. 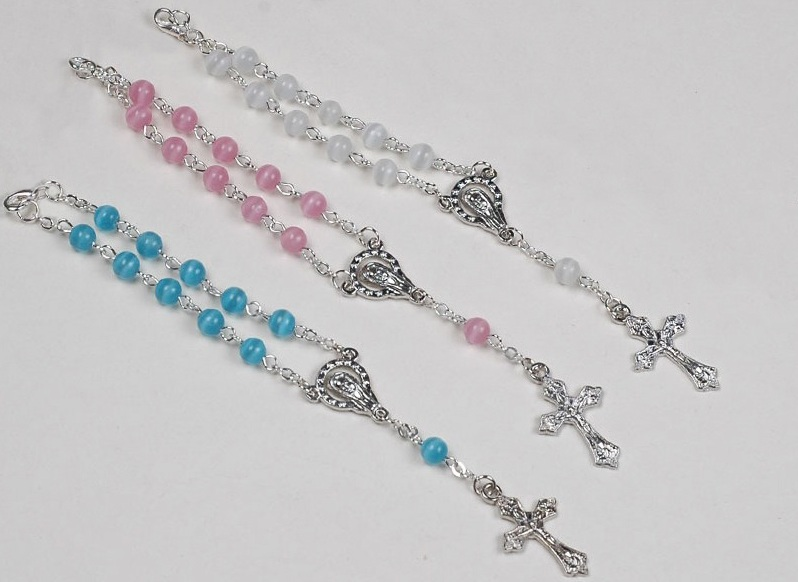 The REAL give away is the high-quality mini-rosary inside, complete with beautiful glass beads, silver-plated chain and Crucifix. Each rosary measures approximately 6 inches in length. 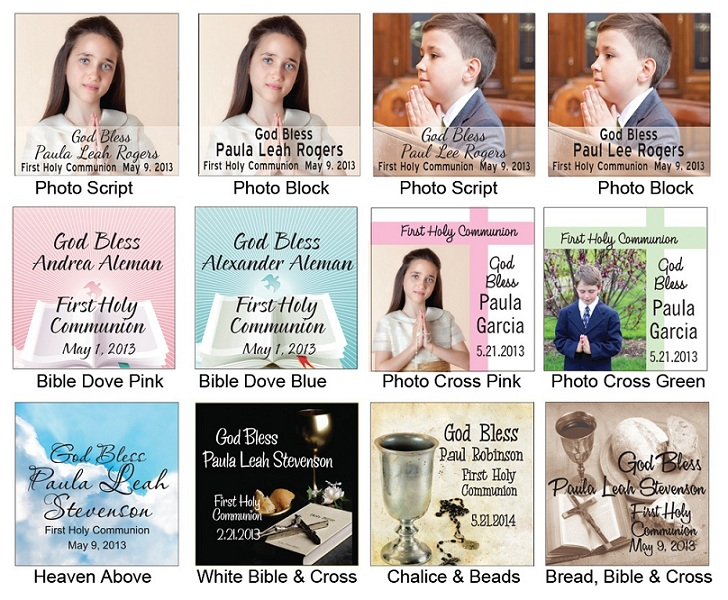 If you choose to have your child's photo on the tag, please email it to: info@cool-party-favors.com . 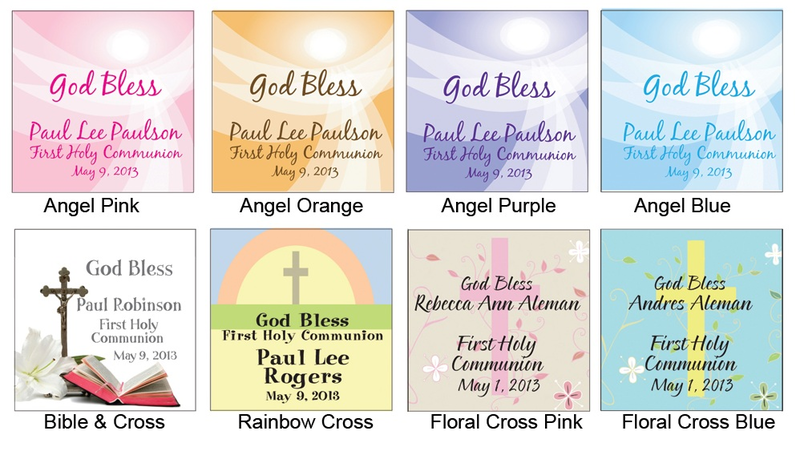 We're sorry, the purple rosary is no longer available.